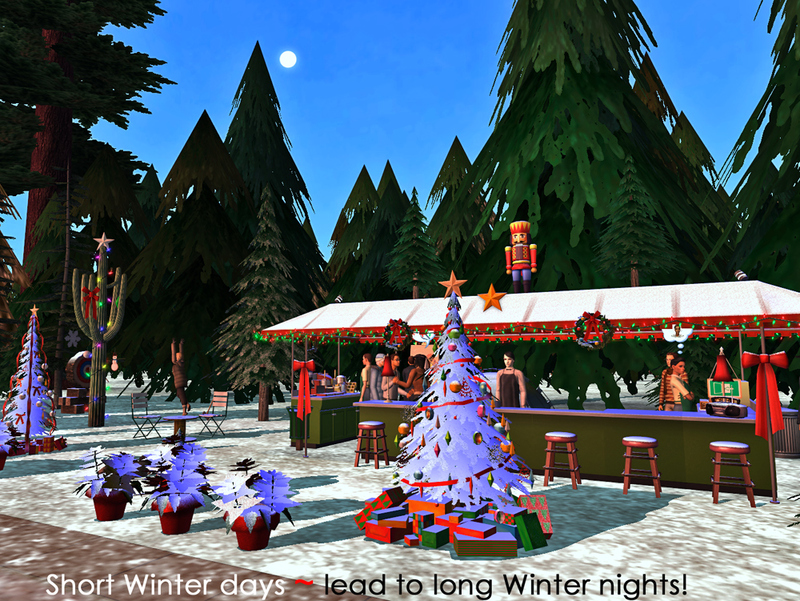 This lot is intended as a temporary Community destination ~ just plunk it down and go visit! Bring a date, and have some FUN! 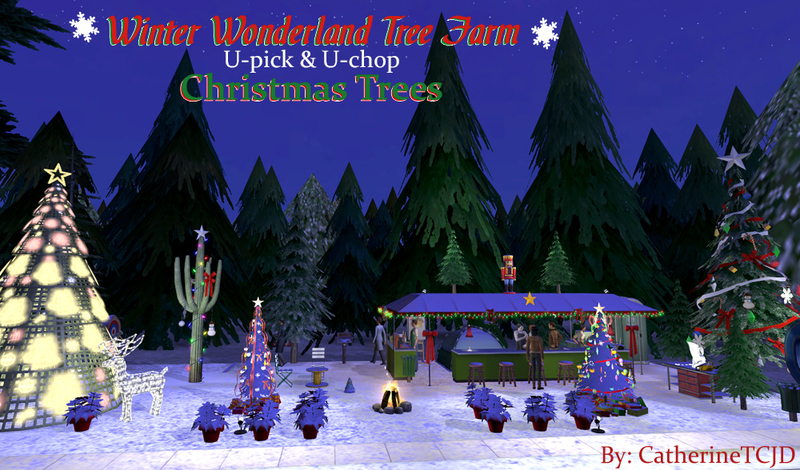 At Winter Wonderland tree stand - u-pick and u-chop* your own Christmas Trees. Stay warm by the fire, roast some marshmallows, try the gourmet Hot Cocoa, an Espresso, or something stronger from the bar! There's also a charcoal park-grill, if you work up a hunger for hamburgers. 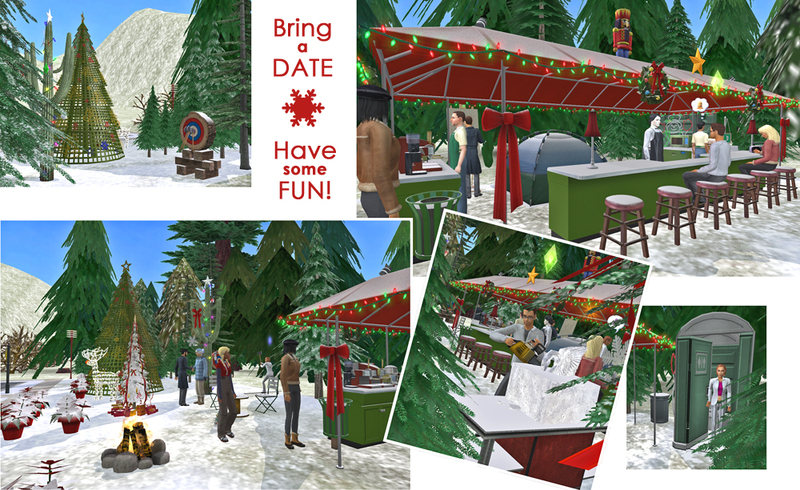 Ice Carving and Axe Throwing are popular activities on this lot too, as is snuggling and smooching under the pines in the secluded back corner of the property. The tent *ahem* is meant for night-time security (ie: the business owner) to catch some Zzzzs. As I said above, this started out going to be a temporary lot. However, in my Riverblossom Hills, it's going to be a permanent attraction. I placed it in front of a large Christmas Tree Farm (use your imagination - it's actually just a few acres of carefully placed neighborhood pines!) I haven't built the farmhouse yet; but the land is cleared! Everything is included on this lot for it to be either an "owned business" or a "home business". 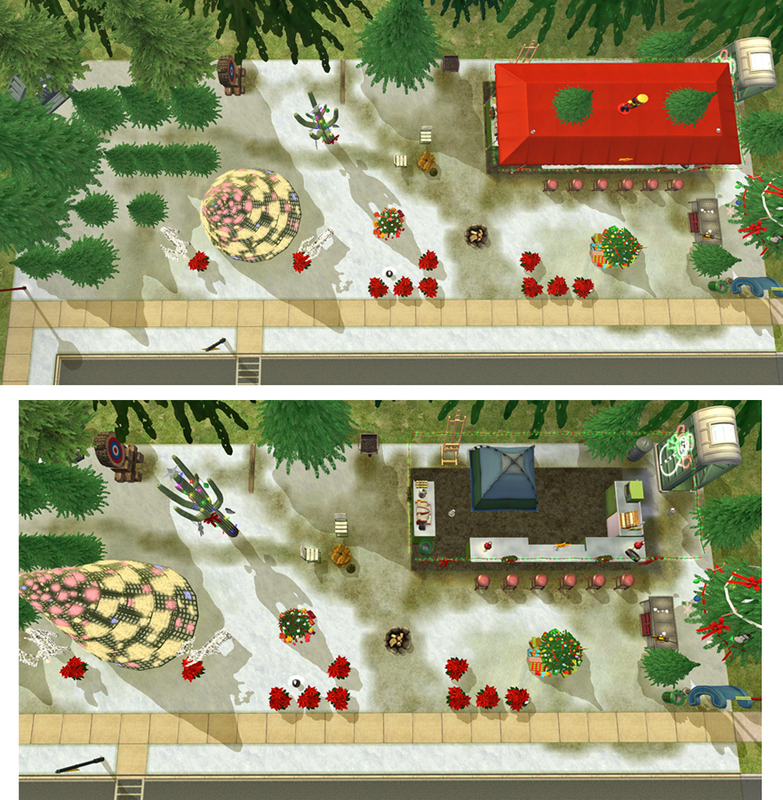 After your sim buys the business, they can set the trees to actually BE for sale, right now they are just decoration *sigh* and you'd also be able to make your employees dress for the weather! ...or, of course, you can always keep it as a Community lot LOL! * - I was trying hard to be CC-free - so, I didn't include this... 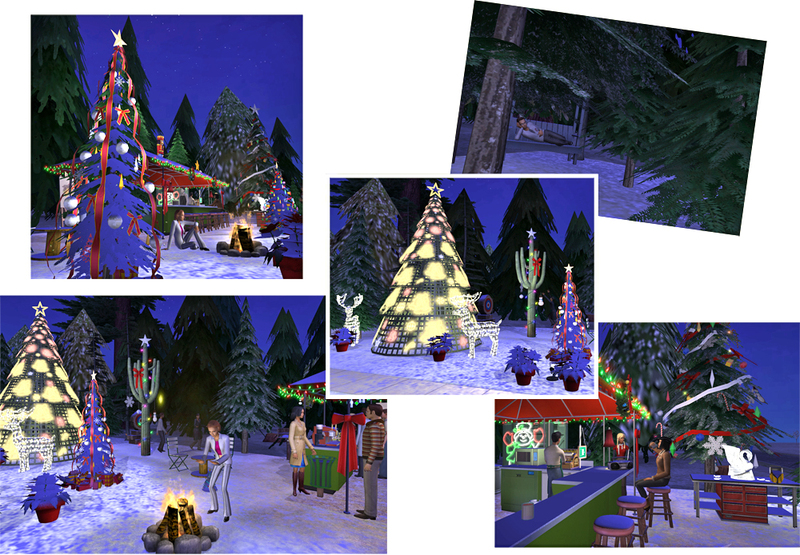 But, Rebecah over at AffinitySims, has a Wood-chopping Pine Tree that would be a great addition to this lot, I think! 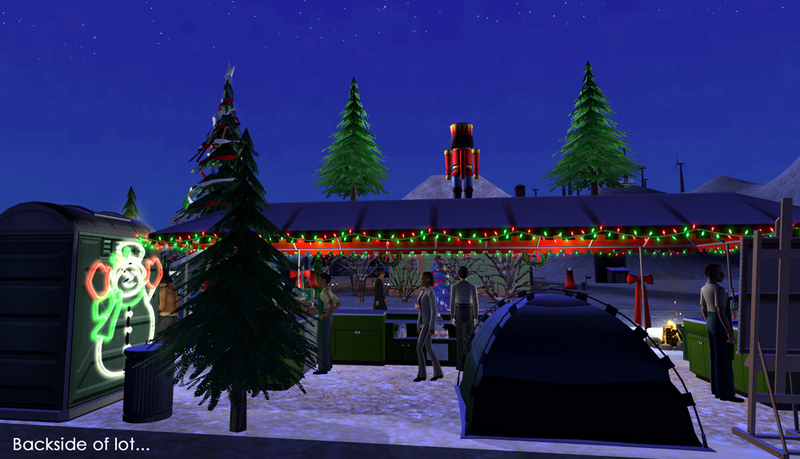 98 people have said thanks to CatherineTCJD for this download. 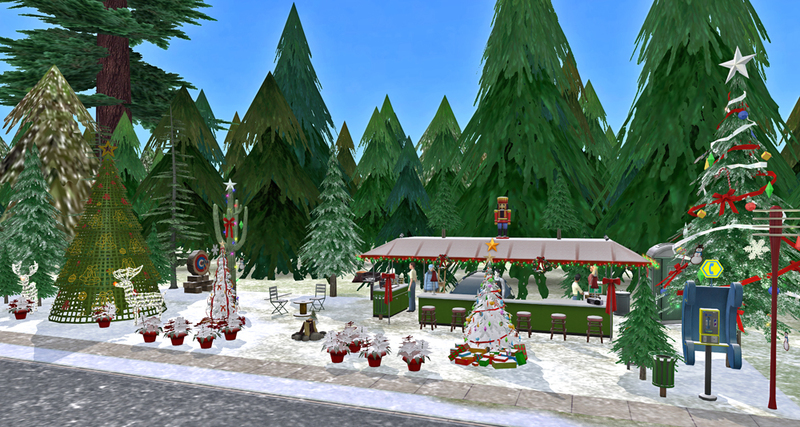 -Sand Simolean Point Shopping- 7 Little Shops Plus Template!